Shop Your Next Vehicle During Our Nissan Now Event! Backed 12 month / 12,000 mile limited warranty, all Nissan parts and accessories are custom fitted, designed, and tested for your Nissan. Welcome to Nissan of Yorktown Heights! 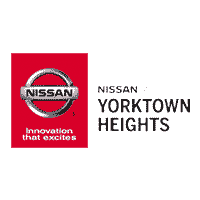 Your Nissan dealership located in Yorktown Heights. Come visit us today!